...sense the rhythm of the sea, let gentle hands take you to another world. 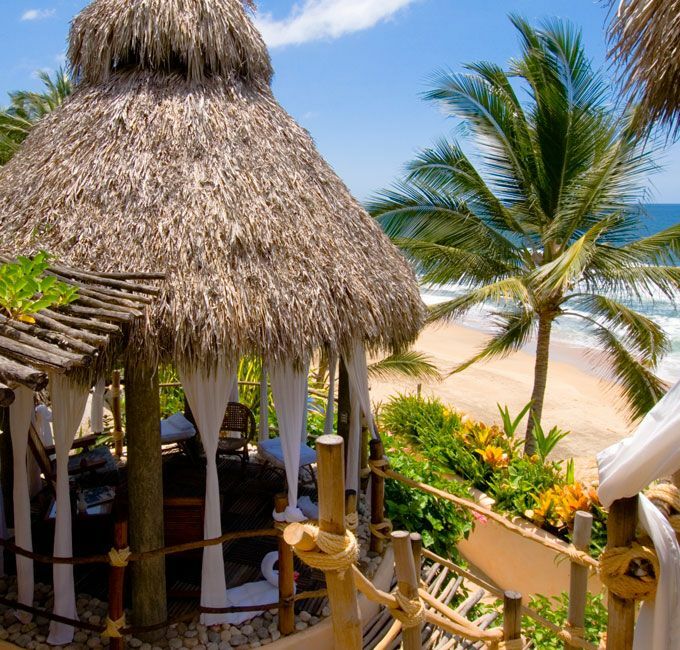 in the relaxing Oriental ambience of our palm-thatched open air palapa cabanas with tremendous ocean views and the sound of ocean waves. 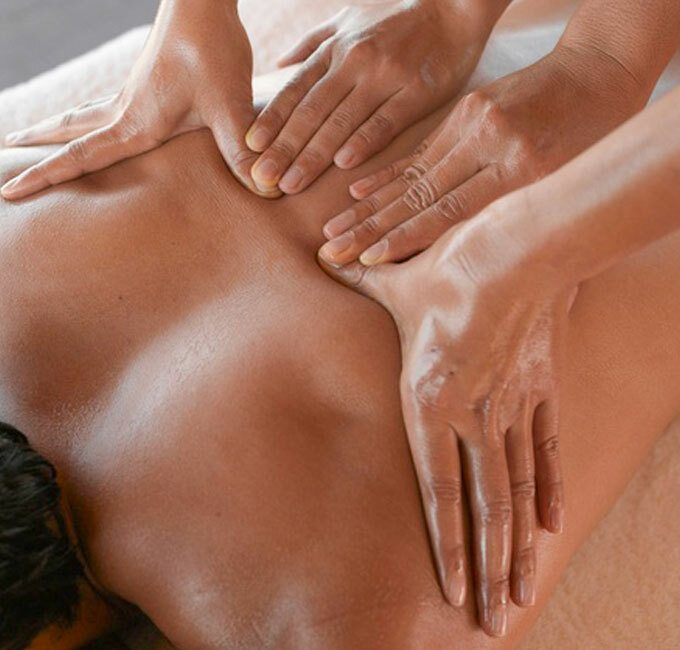 Let a masseuse soothe your body with long graceful strokes that let your energy flow in harmony again. Enjoy a combination of techniques practically guaranteed to take you to a pleasurable dream-world and leave you floating in gentle tropical clouds. Feel the penetrating warmth of Ceboruco volcanic river stones...deep relaxation releases your tensions and takes your senses to unimagined heights. Powerful and healing for when you've waited too long to treat yourself to relaxing pleasure and want to fix the knots and tensions that restrict the normal flow of physical, emotional and spiritual energy through your body. Indulge yourself in a blissful high with four hands in harmonious concert...sensual magic, music for your muscle...you deserve this! 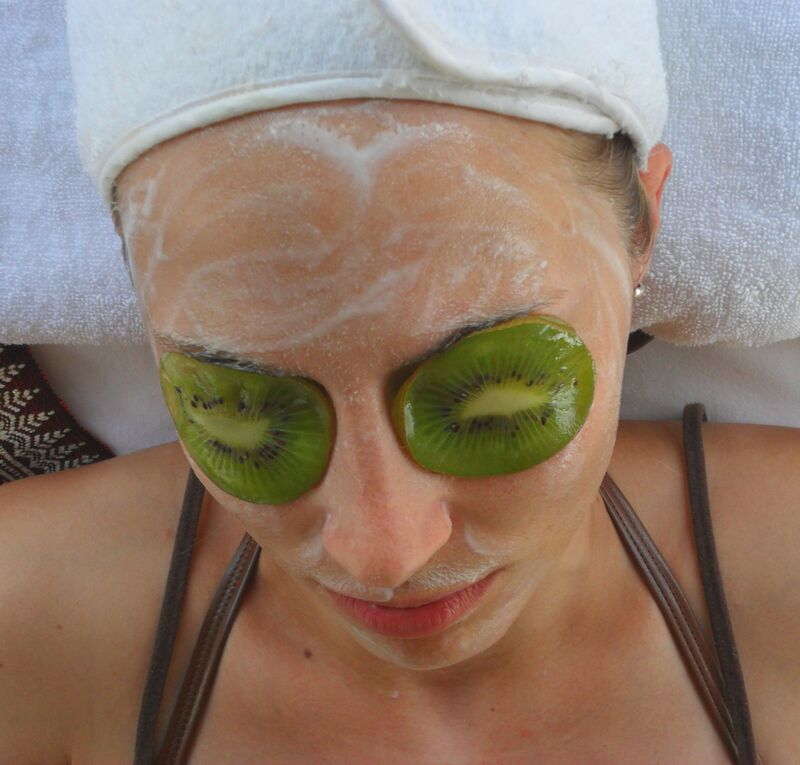 In addition to our unforgettable massages, enjoy Thai-style kiwi and cucumber facials to the relaxing sound of ocean waves.